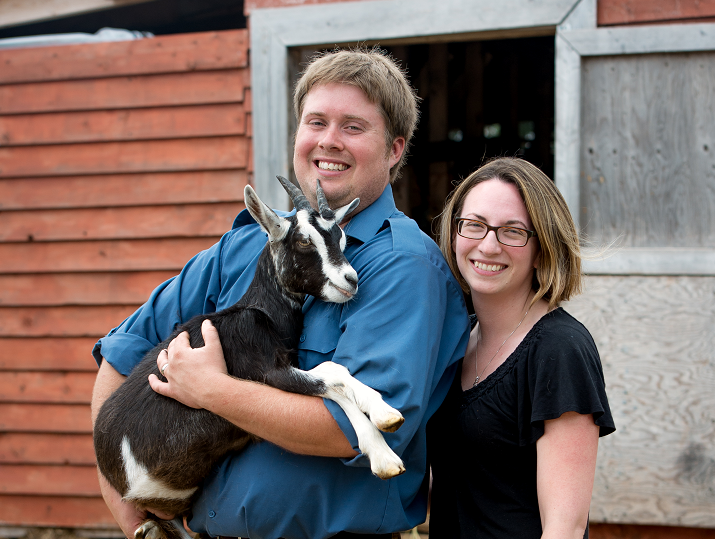 Ryan and Shannon Costelo describe themselves as proud goat owners and soap makers. Growing up, Ryan’s family had a cattle farm and he has always loved animals. 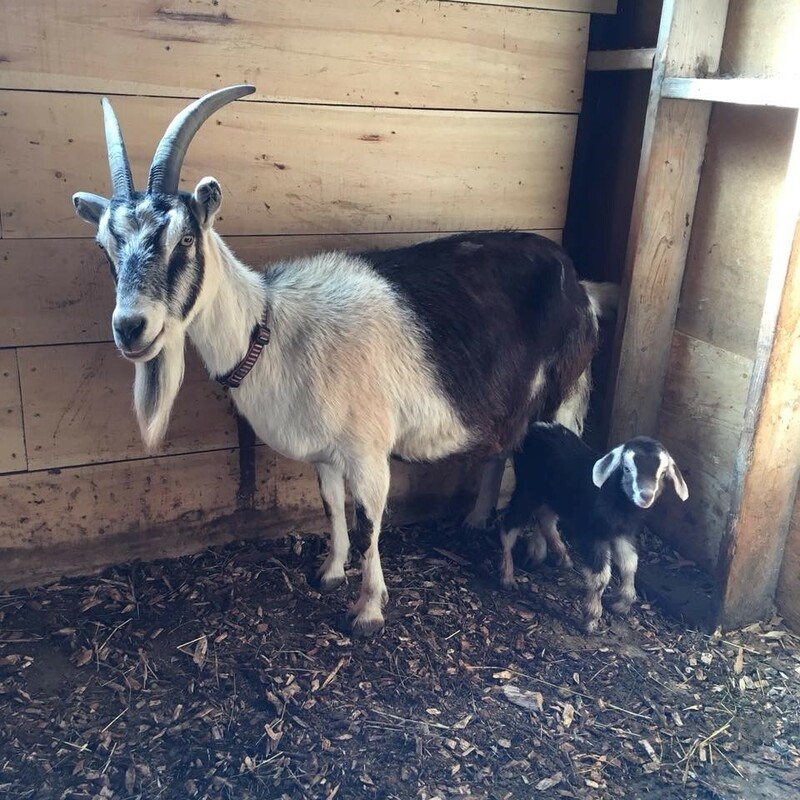 When he and Shannon settled in Ingonish, their property was not big enough for cows, so they bought a pair of goats. Ryan and Shannon first developed their own recipes and tested them on friends and family. 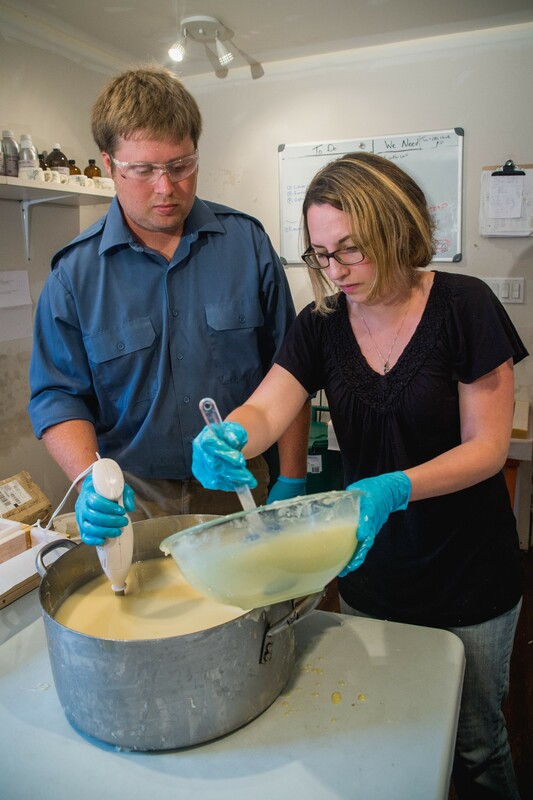 They then took two years to research and put together a business plan, and the Groovy Goat Farm & Soap Company was launched in 2013.